It is always encouraged for people to take a storm spotter class to become a trained storm spotter. Check out our list of local storm spotter classes for Dickson County that are given by NWSNashville. The more trained spotters are out there, the better NWSNashville knows what’s going on and can issue warnings as necessary. The NWSNashville wants the above information. In addition, they want to know your approximate location (i.e. 3 miles north of Dickson), the time the event occurred, and what you saw. Pictures are a great bonus. 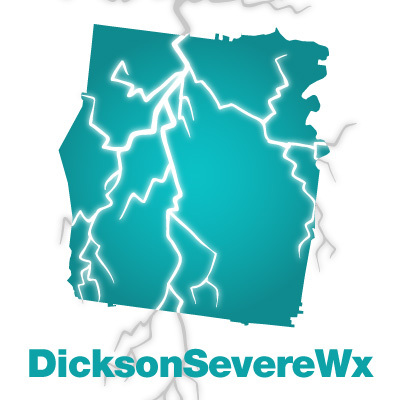 You can also tweet us the information directly to us on Twitter at @DicksonSevereWx and we can clarify and/or relay information back to NWSNashville.